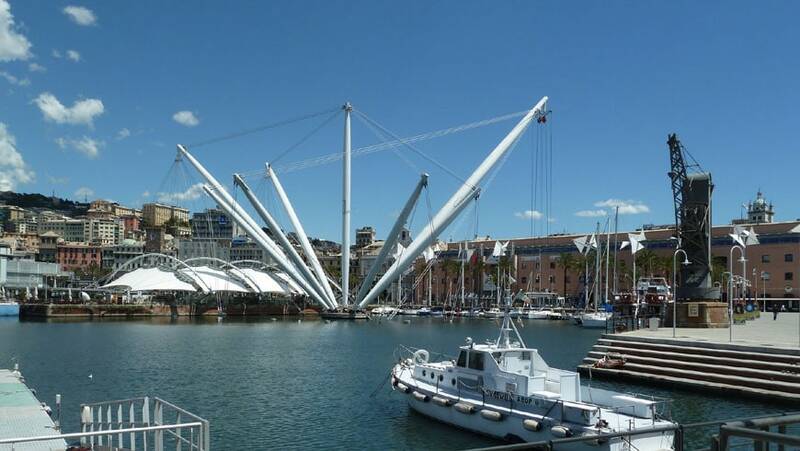 Opened in 1992 and located on the city’s waterfront, the Aquarium of Genoa is one of the largest aquaria in Europe. 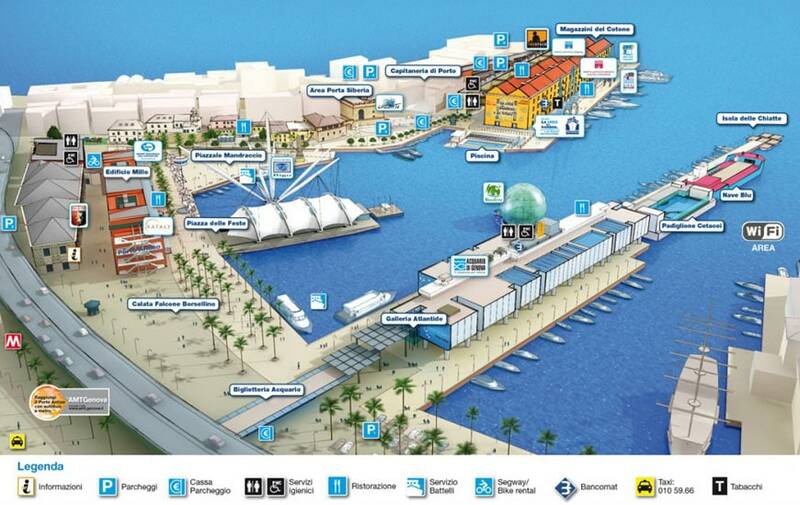 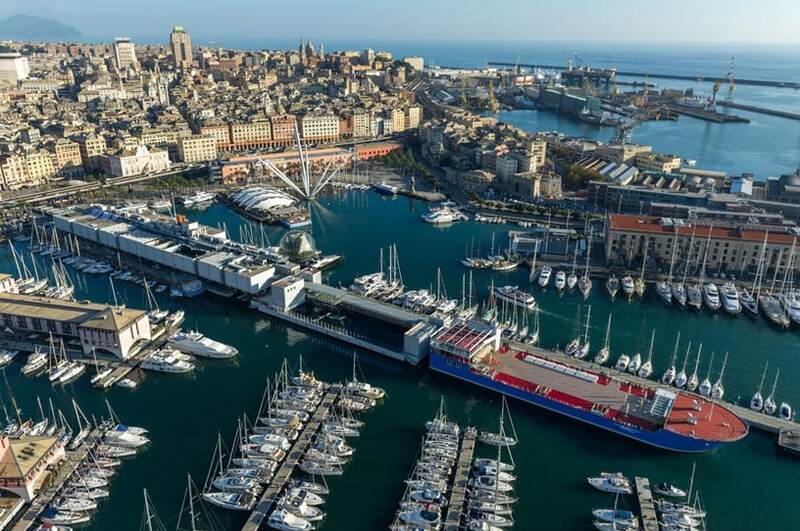 The aquarium’s building is located in the old port of Genoa (Italian: Porto Antico di Genova), which was converted into a popular leisure and cultural site in the early 1990s, and currently encompasses a covered performance space, bars, restaurants, shops, a panoramic elevator, a library, an ice rink, and four museums. 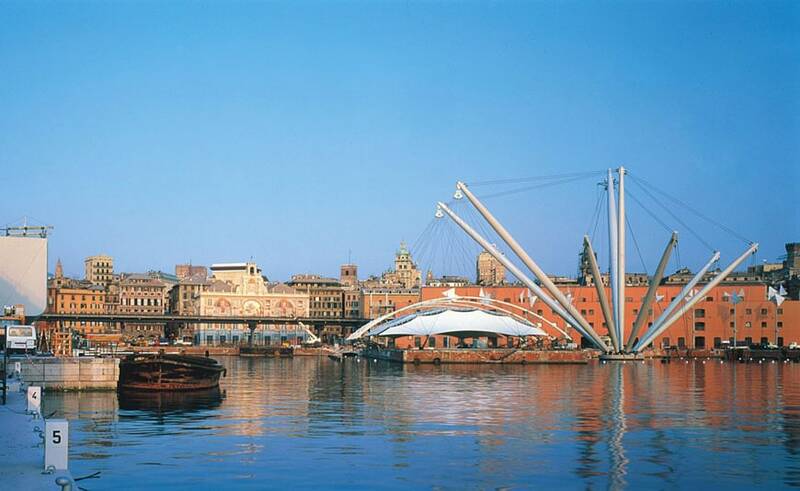 The area, once a secluded warehouse compound adjacent to the city’s historical center, was completely redesigned for the 1992 Columbus Celebrations by acclaimed architect Renzo Piano, and re-opened to the city; the revamped area is now one of the most popular destinations in the city of Genoa and the region of Liguria. 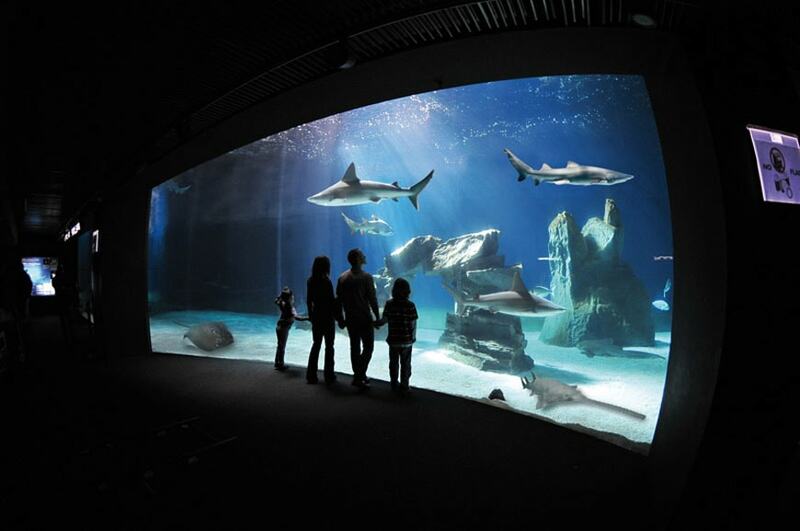 The aquarium is the most visited structure of this kind in Italy, with over a million visitors per year. 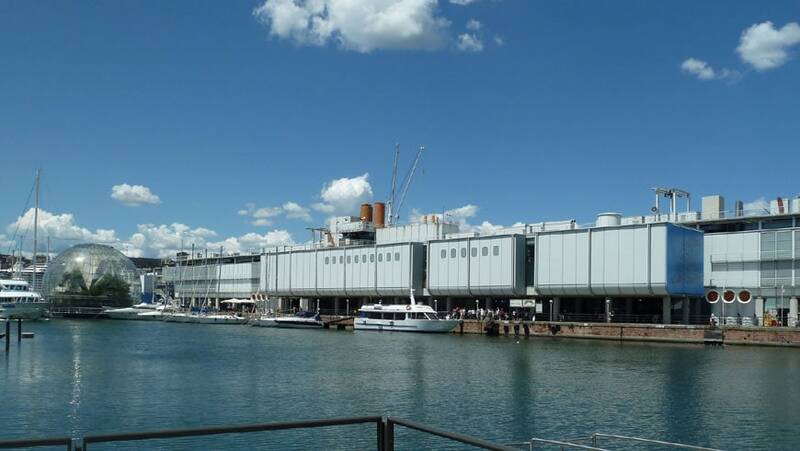 The original building of the Aquarium has been enlarged over time and currently extends on a floor area of 27,000 square meters / 290,000 square feet. 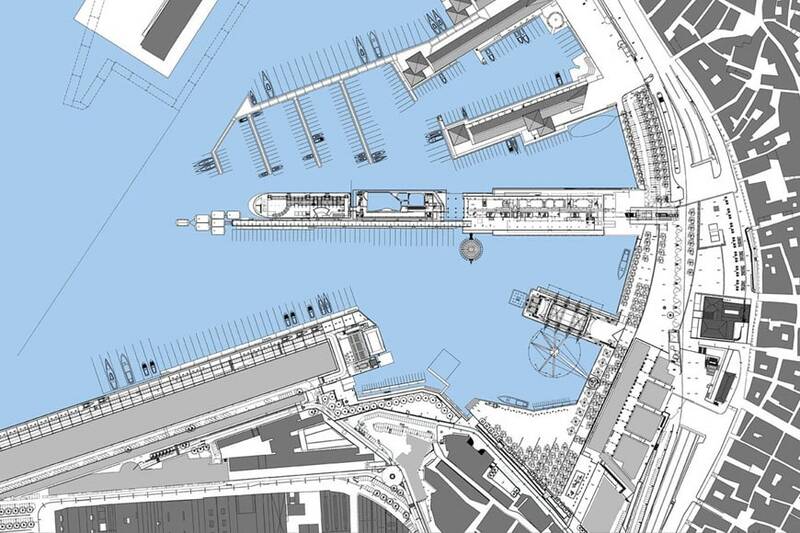 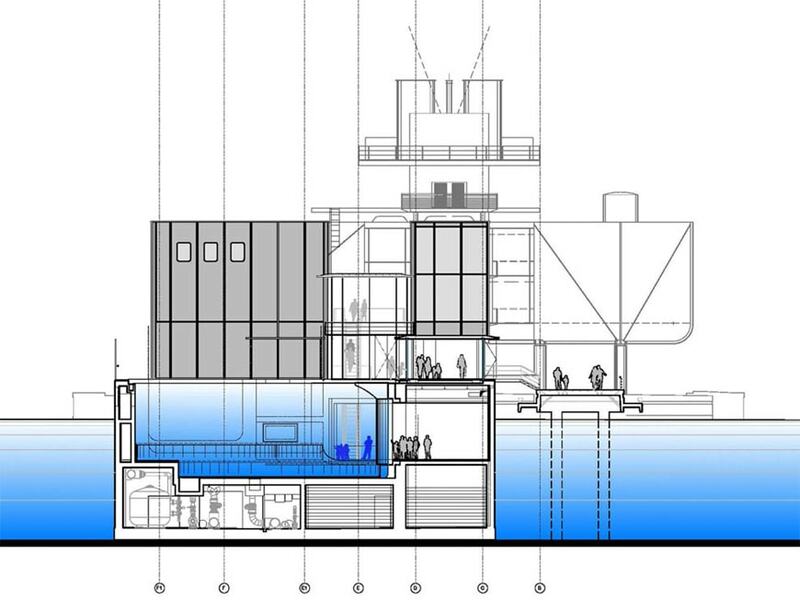 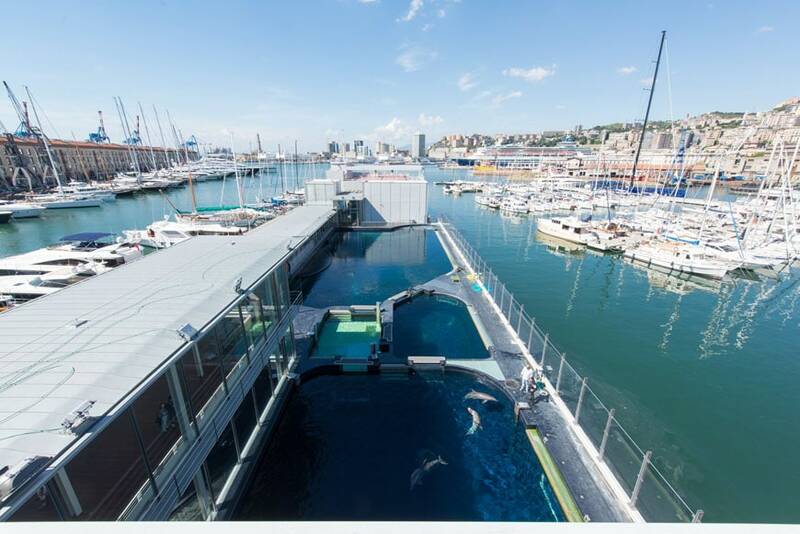 The complex of the Aquarium is composed of three parts: the main building, a floating pavilion entitled “Nave Italia”, and a new floating pavilion for Cetaceans. 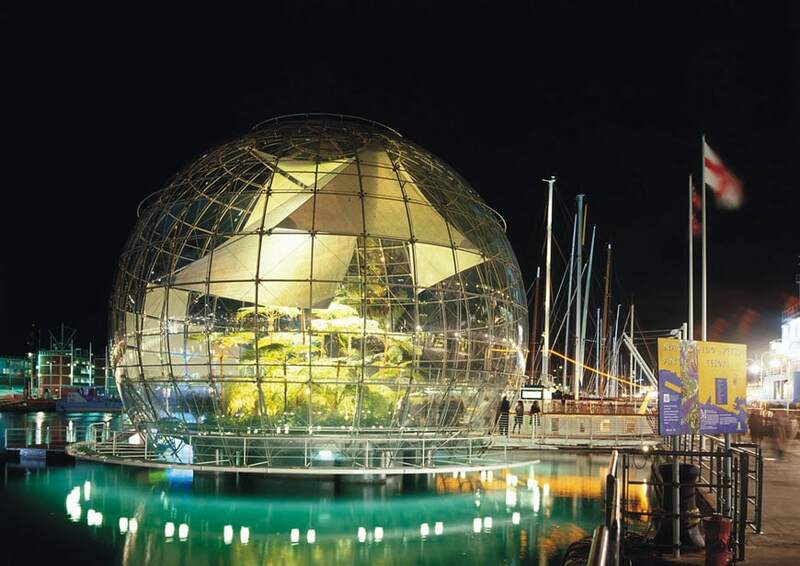 A separate spherical pavilion housing a tropical garden, the Biosfera (Biosphere), is also part of the complex. 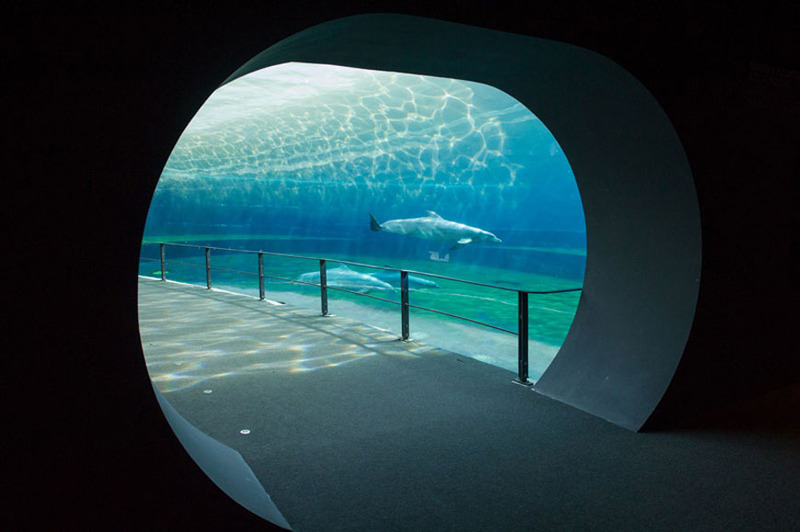 Piano designed both the building of the aquarium and the new Cetaceans pavilion as very technical structures, to maintain a visual relationship with the old industrial buildings around; while it conceived the Biosfera as a futuristic bubble made in glass and steel. 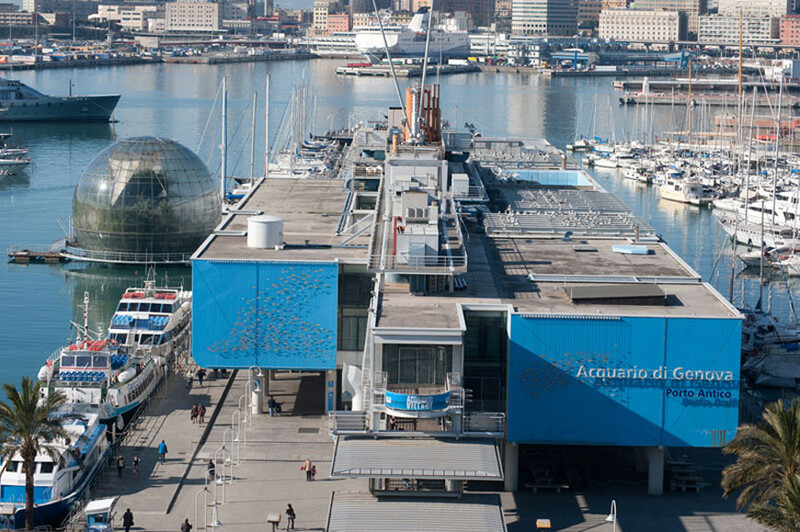 The Aquarium of Genoa features 70 tanks, housing various species of aquatic animals. 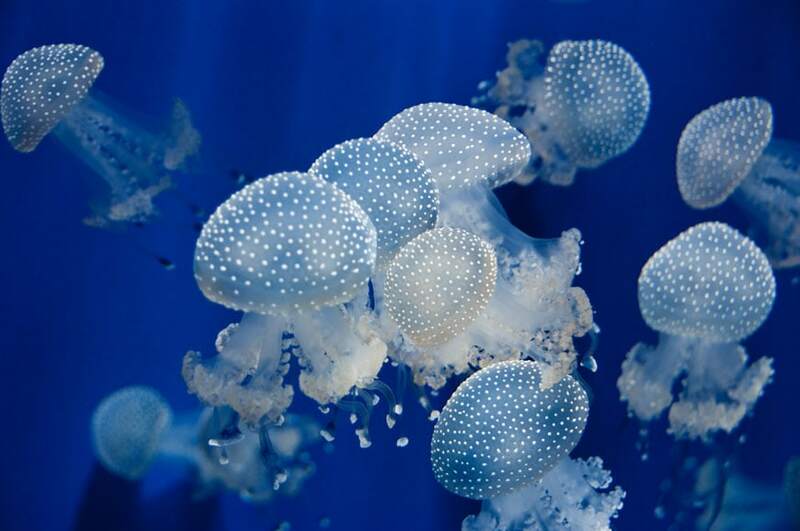 The permanent exhibition is divided into various thematic sections: the Mediterranean Sea, Tropical seas, Brackish waters, Tropical freshwater, and Icy seas; it presents over 15,000 animals, including fish, amphibians, marine mammals, and birds. 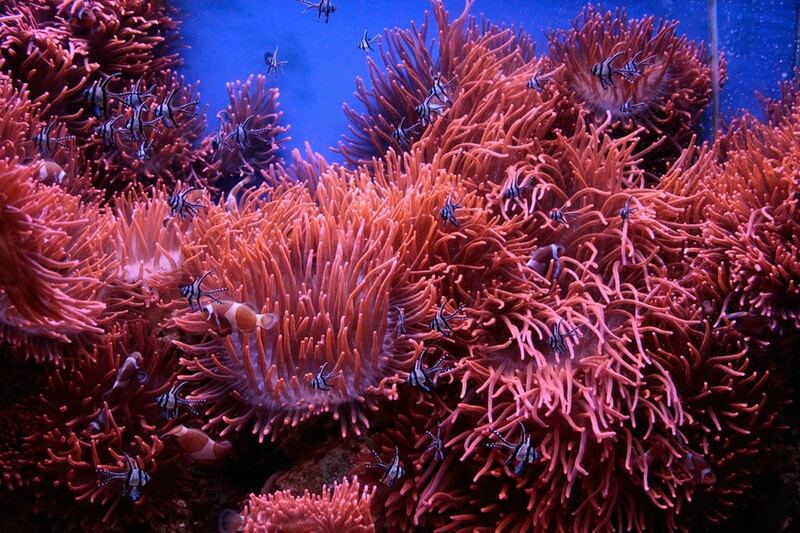 The Coral Reef tank with a school of Clownfish; photo: Francesca S.
The Aquarium of Genoa organizes educational programs for children and families; the complex includes a shop, a bar, and a cafeteria.